WASHINGTON – (RealEstateRama) — Assistant Secretary for Indian Affairs Tara Mac Lean Sweeney announced the Blackwater Community School, located within the Gila River Indian Community in Coolidge, Ariz., will receive $30.1 million dollars, and the Quileute Tribe will receive $44.1 million dollars for the Quileute Tribal School located on Quileute reservation in La Push, Wash., to award design-build contracts for new school buildings. In 2016, Indian Affairs selected both schools as two of 10 schools for replacement through the No Child Left Behind (NCLB) replacement school construction process. The Blackwater Community School has elected to manage the project using a design-build contract for their new school through a Public Law 100-297 Grant and the Quileute Tribe has elected to manage the project using a design-build contract for their new school through a Public Law 93-638 Self-Determination Contract. 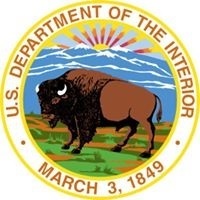 The Division of Facilities Management and Construction for Indian Affairs (DFMC) will provide oversight verification throughout the project and will be available to provide technical support to the Blackwater Community School and the Quileute Tribe. The replacement project for Quileute Tribal School authorizes a new 60,950 GSF campus supporting a projected K-12 grade enrollment of 79 students. The replacement project for the Blackwater Community School authorizes a new 88,547 GSF campus supporting a projected K-5 grade enrollment of 409 students. Quileute Tribal School was the second 2016 NCLB School to complete the planning phase and first to complete a preliminary 20% design. To ensure compliance with Washington State requirements and enhanced community involvement this project provides a Language/Cultural Lab, permanent stage space, and a wood carpentry vocational shop. This project will be fully compliant with Washington Sustainable Schools Protocol and the Guiding Principles for Sustainable Federal Buildings. The current school facility is located in a designated tsunami zone near the ocean. The new school site is located at elevation safely outside the tsunami zone. The Blackwater Community School is the third NCLB School to completed planning. To ensure compliance with Arizona State and Gila River Tribal requirements and enhanced community involvement this project provides a Language/Cultural Lab, Science Lab/Traditional Farming and Gardening classroom, Art Program Classroom and a Science, Technology, Engineering and Mathematics Classroom. This project will be fully compliant with Leadership in Energy and Environmental Design (LEED) Protocol and the Guiding Principles for Sustainable Federal Buildings. The Laguna Elementary School received the first award of $26.2 million to award a design-build contract on May 2, 2018. Within the next few weeks, Dzilth-Na-O-Dith-Hle Community School in Bloomington, N.M. will begin the preliminary design stage and will be the fourth school to be funded. The remaining six schools are expected to complete the planning phase by the end of 2018.